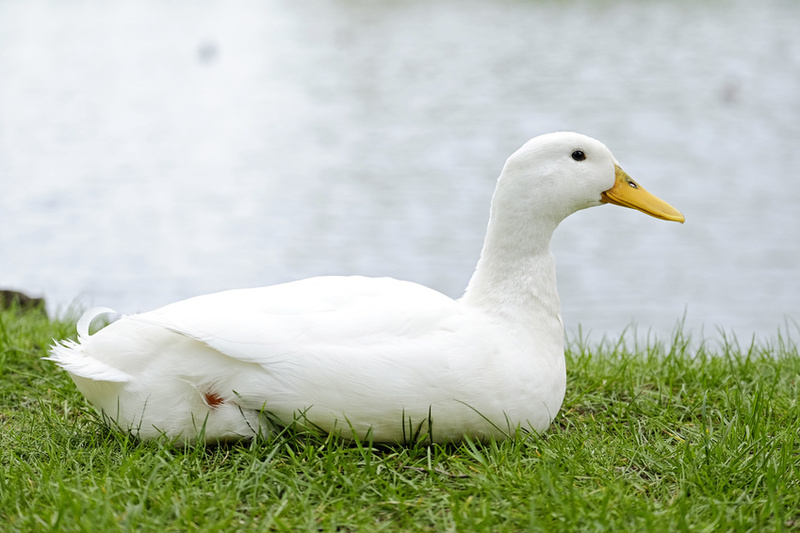 It May Look Like a Duck and Quack Like a Duck, But Is It a Genuine Heritage Pekin Duck? By going back to basics, Refoel Franklin actually found himself ahead of the curve. When he decided to focus on specialty poultry–which ideally suited his small-batch, painstaking approach to, well, everything—he bucked the trend that had generally taken hold in duck breeding. For decades, breeders had followed the prevailing wisdom that duck was just too rich, too dark, and too fatty for American tastes, and they bred their ducks to be leaner, milder, and more chicken-y. But when Refoel looked for a duck breeder for his operation, he partnered up with Joe Jurgielewicz & Son, breeder of “America’s Tastiest Duck.” They shared a passion for doing things the time-tested, traditional, even old-fashioned way. For Joe Jurgielewicz, that meant breeding a traditional Long Island Pekin duck, full of rich flavor, laden with versatile and delicious duck fat, and compromising nowhere. That was an approach Refoel could relate to—he had spent decades bucking the trends and doing things his way, with no compromises. So everyone else might have been surprised—but not Refoel, nor Joe—when the trends came around and lined up with their approach like it was meant to be. With today’s farm-to-table, locavore, artisanal, and craft foods movements showing no sign of abating, and with kosher consumers demanding higher quality and more stringent observance of kosher slaughter and processing laws than ever before, Joe’s commitment to raising authentic heritage breed Pekin duck is a perfect match to Refoel’s own exacting personal commitment to the finest kosher dining experience has paid off. After all, there’s plenty of cheap beer and coffee around, but people line up to buy a better drink every day. And now, they are flocking to Pelleh Poultry’s line of the finest, kosher le’mehadrin, traditional, authentic duck products money can buy.